Around this time every year, I put together a list of the bathroom trend predictions for the following year. I compile the list simply through my own research, by compiling the most common trends shared by designers, from making a note on what I’ve noticed in interior magazines and on shows like The Block and of course, seeing trends at The Home Show and on Instagram and Pinterest. 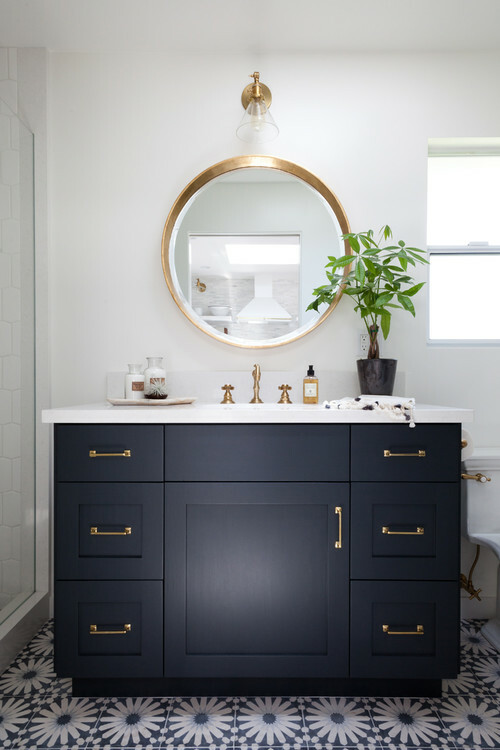 The bathroom trends for 2018 are usually a similar take to the trends that we’ve currently seen this year. But there are also a few differences that will be interesting to see played out. Subway tiles are completely off the radar apparently. They have had their day. If you still love the subway look, choose a bold colour like navy or emerald. Copper and Rose gold tapware are old news. Everyone went mad for this trend. Including me. But our love of metallic hasn’t waned just yet. Granite vanity benches are out. Spa Baths – too bulky. Escapism will be the word that defines the way bathrooms are designed in 2018. 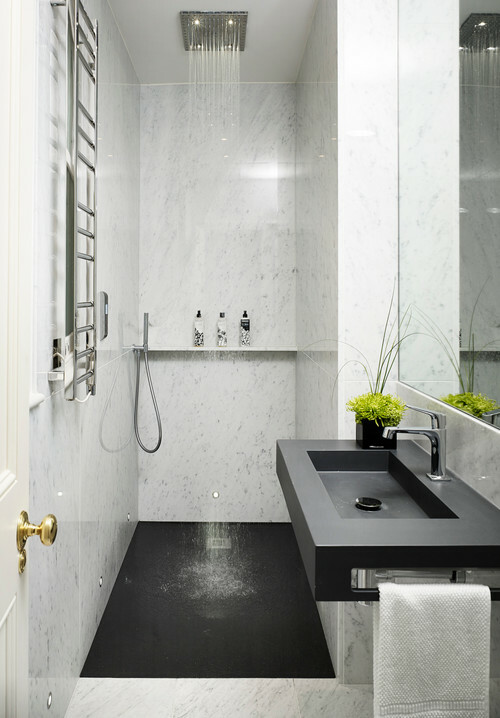 While functionality and practicality will be sought through clever hidden storage (behind mirrors and inset in walls), the bathroom will be a place for one to escape and relax. The day spa feel is here to stay. The escapism trend will incorporate the outdoors in through the introduction of earthy materials and natural light through the use of skylights and floor to ceiling windows. Brass, brushed metallics and matte black tapware will continue to trend. Mixers and hob mounted tap sets will be equally popular. Spa baths are out because showers will be the feature of the bathroom with two or more shower heads and jets. The shower is the place most millennials use to relax, than a bath. Showers will incorporate a rain head shower, hand shower, and side jets for an all out relaxing experience. 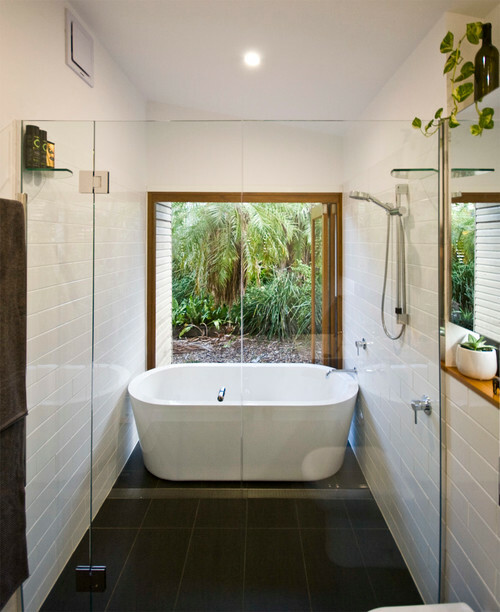 Creating a bathroom that acts as a wet room will remove the need for shower screens. The freestanding bath is here to stay, but you will see it in a feature colour like black or navy. Even cast stone baths will become popular. 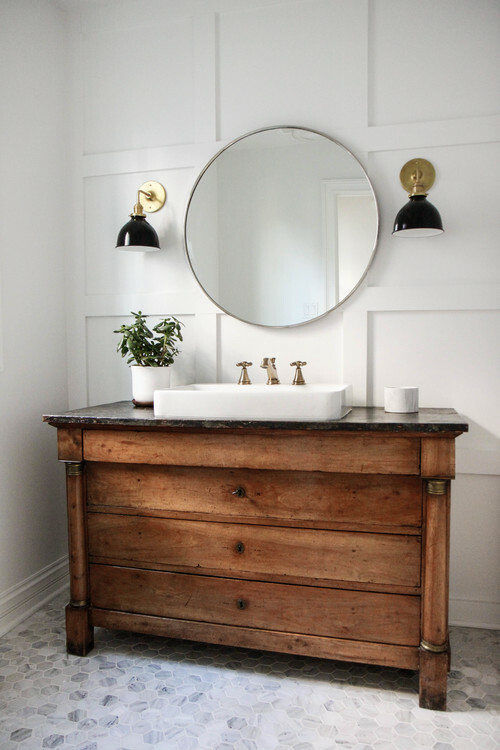 Quartz benchtops and dark wooden vanities will surge in popularity. Stone basins will also compete against the classic white ceramic basins. Shallow basins will be more common for their modern aesthetic. Bigger tiles with less grout will be seen more and more. Less grout means less to clean. Olivia Cirocco from Gia Bathrooms and Kitchens told Home Beautiful, “think 3m x 1.2m tile slabs”. All white bathrooms will be replaced with colour, pattern and texture. All shades of blue will be popular with navy making a strong comeback. It will be seen as the new black. 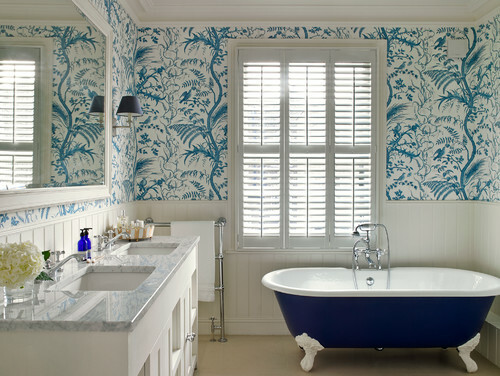 While all white bathrooms are out, pairing white and blue together will make your bathroom feel and look fresh. Add some plants. Hang some plants over the bath. Draw the blinds to allow for more natural light. Change your mixers or taps (if they need to be replaced) with brass or matte black. Incorporate colour through the use of linen. 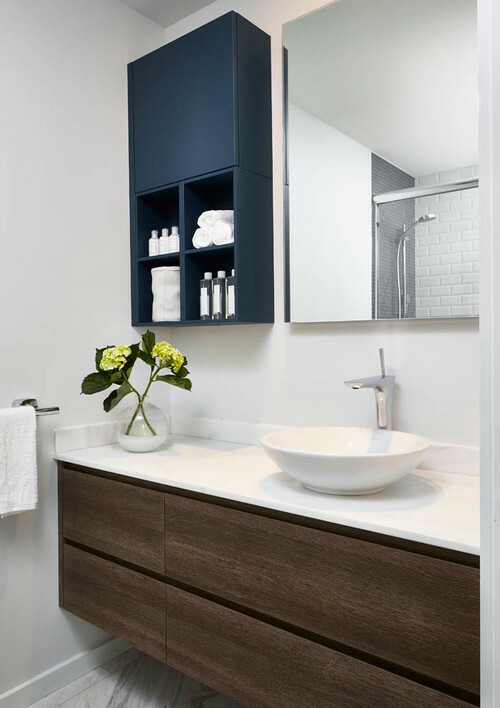 Add navy towels or a shade of blue that will work with the existing colour palette in your bathroom. While all these trends are predictions, they have been based on what designers have seen being done towards the end of this year, as well as being noticed at home shows from around the world. 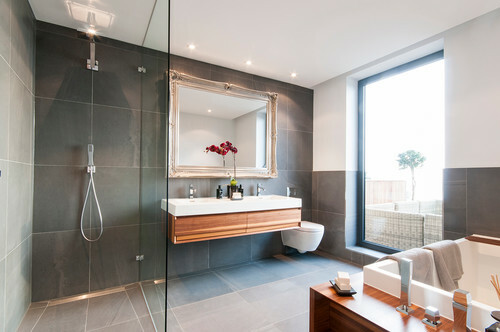 Trends will often come and go, so while you may consider some of these trends for your bathroom upgrade (if you’re building or renovating), ensure the trends you incorporate are ones you will love, even when they’re no longer the ‘look’. Which bathroom trends for 2018 are you favourite? Are you glad to hear blues are in? Previous articleA Life Well Lived – What Does That Look Like?